Our office is situated on the 3rd floor of the main building of the Bottelarij – Brussels Event Brewery. She is the production manager and responsible for the general co-ordination between the artistic & the practical. Responsible for contracts,visa & attestation issues, payments and reimbursements. On a more global level she deals with all legal matters such as the ministry, the board, the building, the insurance. Technician and practical advisor of scenographic, digital, infrastructural and material questions. a.pass is currently situated at the former industrial site ‘de Bottelarij – Brussels Event Brewery in Molenbeek (Brussels). The former brewery is now occupied by a variety of cultural organizations. The 650 square meters collective studio, situated on the 4th floor of the building, where the program takes place and researchers can develop their work. The second space on the 3dr floor is dedicated to the administrative office, collective library and meeting space. We provide a storage space for technical equipment and a workshop for small scenography undertakings. 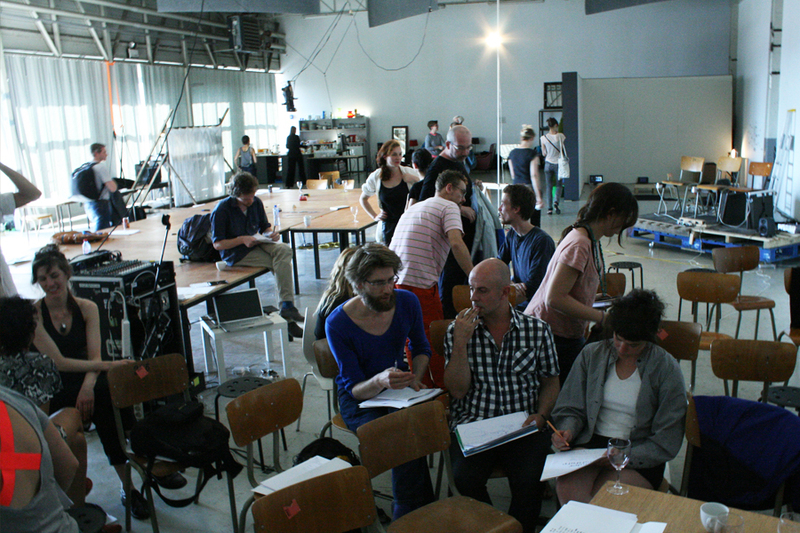 The a.pass program regularly collaborates with Zsenne ArtLab (Brussels), Nadine (Brussels) and PAF (Performing Arts Forum) where some of our activities take place.